The Drive learned that BMW will reveal a production-ready X7 full-size luxury crossover in mid-October. A company spokesperson confirmed the release window via email when asked about trademark filings for potential X7 variants such as the iX7 and X8. This rules out a previous report of a November world debut at the 2018 Los Angeles Auto Show. The finalized X7 design and its specifications will both be shared at the reveal, which we speculate could come during the media-only days of the 2018 Paris Motor Show on Oct. 2-3. Until now, the only look we've had at the three-row SUV came from a design that's believed to have leaked through Brazil's patent office, the Instituto Nacional da Propriedade Industrial (INPI). The images seen below are from the public patent documents. 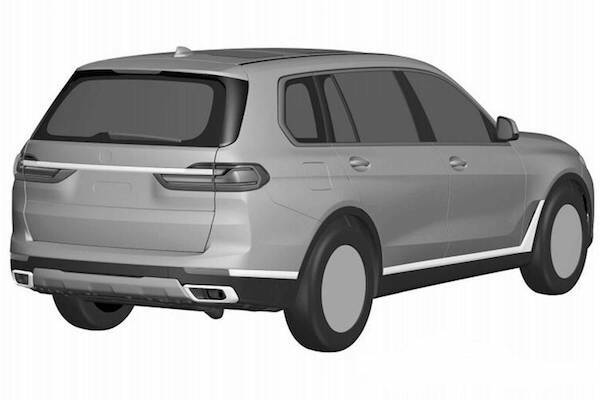 Like the majority of the BMW lineup, the X7 will allegedly receive a sporty X7 M variant, which we believe has already been spied touring the Nürburgring in June of last year. However, BMW has never manufactured a full M variant of its 7 Series sedan, and a BMW spokesperson has previously dismissed the X7 M's existence as "pure speculation." 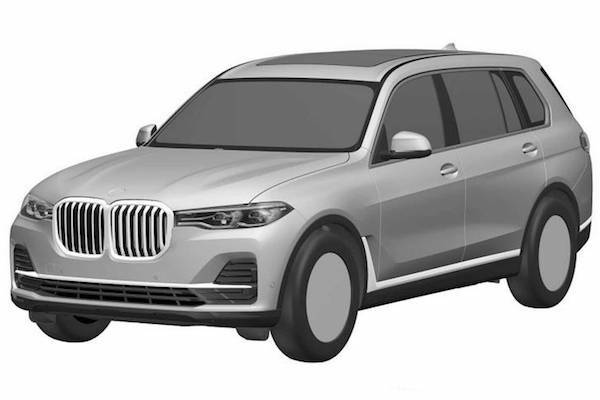 According to trademark filings, future products derivative of the X7 could include a coupe-like X8 similar to the X5-based X6, as well as electrified variants. BMW declined to confirm these rumors or comment on the existence of such vehicles. BMW makes big promises about its first full-size electric vehicle, including what could be best-in-class range. The biggest BMW yet looks surprisingly composed in the corners. Plush four-seat, six-figure X7 will sit above the standard three-row trim.